Are you amongst the lucky winners for Week 45 of the Goalden Gate Draw. The Birthdate drawn was 17.10.09 and the £200 Prize was won by Mr P Mills. Next week’s prize will be £100. 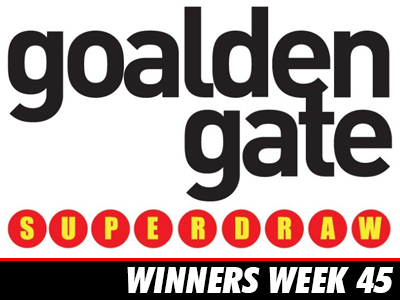 Did you know that you can win big cash prizes by becoming a Member of the Goalden Gate Weekly Draw? For just £1 per week, the draw sees someone win a top prize of £1000 EVERY WEEK as well as numerous consolation prizes. So, as well as helping your favourite local team, you can also give yourself opportunities to win some great cash prizes.